Director Oliver Driver’s programme quote may be a great pun, but it also makes perfect sense. 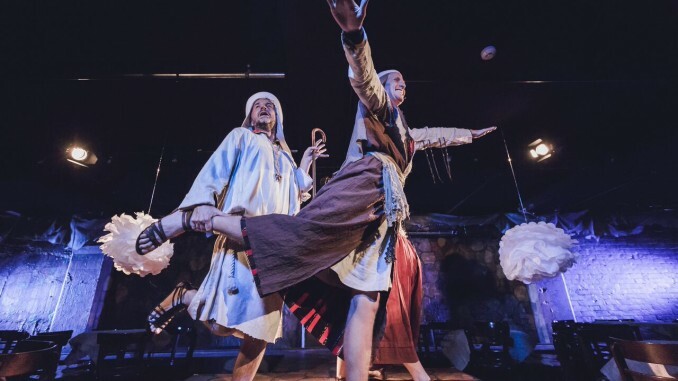 Based on an original concept by Driver, choreographer Lara Fischel-Chisholm, script coordinator and lyricist Thomas Sainsbury, performer Gareth Williams, and Elise Sterbeck, Gabrielle Vincent, and Sam Snedden of the Basement Theatre staff, Jesus Christ Part II, like Jesus Christ Superstar, is a product of its era. The core cast of Julian Wilson, Victoria Abbott, Gareth Williams, and Hayley Sproull, as God, the Virgin Mary, Judas, and Mary Magdalene deliver one of the best pieces of ensemble work this year. While necessarily comedically extreme in performance, each bring their own unique subtleties to their respective characters, so much so that their individual flair is incomparable. While the play does come together in the end, it doesn’t quite become more than the sum of its parts. This is worth noting only because this frivolously festive musical ironically has the opportunity to be that much more. While the consequential drama of the second act does drive towards the ideological messages associated with Christmas, the plot of the first act, prior to the act one final number, is too sequential – it lacks the necessity to drive these ideas as they are established in the first scene. Music by Jason Smith, and lyrics by Thomas Sainsbury, Jason Smith, and Hayley Sproull are perfect examples of the necessity of music in musicals – when you can’t express yourself in words anymore, you sing. Not only are they coherently comedic, they are extensions of the story and expansions of the characters. Dan Williams’ set utilises the vastness of the Basement mainstage, and allows for Driver to incorporate its meaning, while Rachel Marlow’s lighting design has some excellently gaudy stylised moments to remind us of the ridiculousness of it all. Sound engineer and recently appointed Basement technical manager Ronnie Livingstone does an excellent job of audibly filling the mainstage space without capitulating to the detriment of volume, but the mix is inconsistent at times and prevents some of the lyrics being heard. A different celebrity plays Jesus each night. The opening night audience is gifted with the inarguably talented comedian and television personality Madeleine Sami, who, while incredibly quick-witted and pithy, finds a truth to both the humour and story when confronted with the less obvious comedic scenes and doesn’t play for potential laughs over character connection. 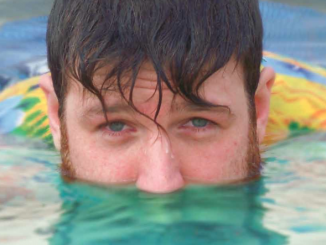 This is, again, another example of Driver and the devising team’s ability to present their audience (and guest actors) with the most affecting moments, both dramatically and comedically. 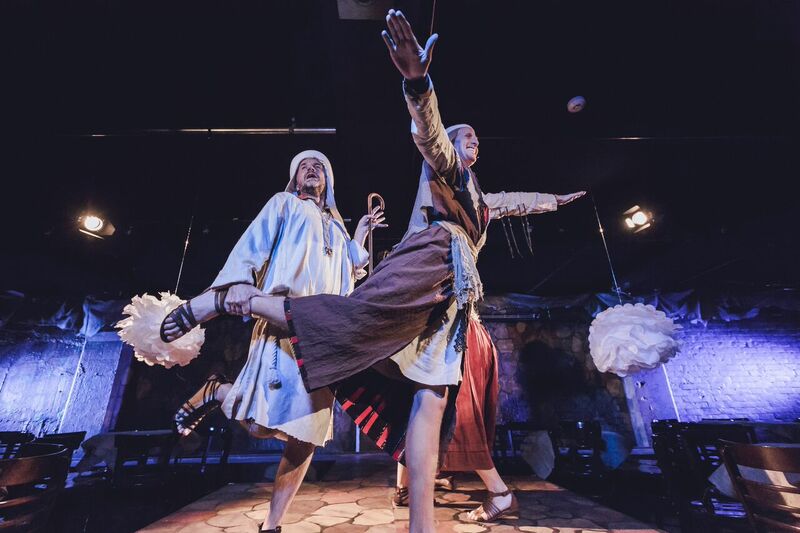 Jesus Christ Part II marks Basement Theatre’s 7th annual Christmas show, and while it can be difficult to critically evaluate such shows due to the audience’s state of giving with such a satire, it is a consistently communal and festive way to end the theatrical year. This year, however, Driver and his devising team have taken the responsibility of presenting a 21st century nativity play one step further, and while it doesn’t necessarily hit the nail on the head dead on, it gets the point a-cross. Jesus Christ Part II: The Basement’s Christmas Show plays at Basement Theatre until December 19. For details see Basement Theatre.